When assessing mortgage rates today, there are a number of issues that the potential borrower should consider. There are different types of mortgage products offering fixed rates. Tracker rates, variable rates, you need to know which is the best mortgage rate for you. Lowest mortgage rates change daily and most lenders revamp their rates at least once a month. Therefore, if you see a mortgage rate that you feel is suitable for you today, you need to take action swiftly or risk losing the rate. Assessing mortgage rates today can only be accurate if you understand your eligibility and which lenders would consider your case. This is where the services of an independent mortgage broker are key. With a fixed-rate mortgage, your interest rate is fixed for a period of time, typically 2,3,5 or 10 years. Fixed-rate mortgages will generally come with a ‘lock in’ where you incur a penalty if you repay the mortgage within the fixed-rate period. Variable rates are set by the mortgage lender and subject to change by the mortgage lender at any time. Variable rate mortgages generally do not have a lock in. Tracker mortgages follow a main mortgage rate as it moves up and down. For example, your tracker mortgage product could be set to be 2% above Bank of England base rate. Some tracker mortgages follow the bank’s own base rate, or the LIBOR rate. Tracker mortgages will often have a lock in with an early redemption penalty if you repay the mortgage in the short term. When assessing a mortgage rate today, the borrower typically looks for which rate is available. But this is not a straightforward comparison on rate, other factors need to be considered. Which lenders will offer you lending given your circumstances? Is there something particular about your case that means only certain mortgage lenders will offer? You can only assess the lowest mortgage rate available once you know which lenders can be considered. Mortgage rates and products typically come with additional costs such as valuation fees, booking fees, and arrangement fees. Sometimes, particularly with lower value mortgages, these additional costs can be a major factor in the overall deal. In these cases, the lowest mortgage rate is not necessarily the best mortgage rate. 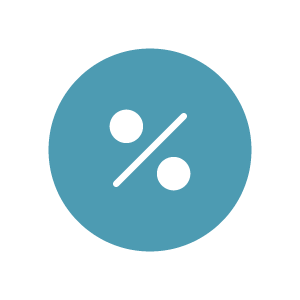 Mortgage rate comparison – how does it work? We are all familiar with the concept of comparison websites where you can assess today’s mortgage rates from a number of providers. These sites however need to be treated with caution. As stated above, you can only run a true mortgage rate comparison once you know which lenders will consider your case. It is not possible to assess that information on a mortgage rate comparison website. Further, although they give the impression to the contrary, mortgage rate comparison websites do not carry details of all the lenders and products on the market. The comparison websites generate revenue by selling advertising space and enquiry data, and receiving sales commissions from providers listed on the site. If the mortgage rate provider does not have a commercial deal with the comparison website, they won’t be listed. Buy to let mortgages are a separate area for residential products, and if you are finding the best buy to let mortgage rate, you need to bear a number of things in mind. Mortgage product fees on buy to let mortgages can be considerably higher than those charged on residential mortgage products. Do not be put off by mortgage fees however, as it is often the case that the mortgage with the highest product fee is still the best buy to let mortgage rate available to you. Buy to let mortgage lenders typically price their products, such as those with high value mortgages benefit from taking a lower rate higher product fee mortgage. Another important factor, is that mortgage product fees can generally be offset against the borrower’s income tax bill making the net cost much lower. Most buy to let mortgage lenders assess affordability based on a multiple of the rental income derived from the property. Each lender has their own way of calculating that multiple, and this means that where the ratio between required mortgage level and rental income is high, borrowing options are limited. Buy to let lenders prefer single tenants or families on an assured short hold tenancy agreement. Where the prospective landlord intends to have tenants on benefits income, student tenants, or multiple tenants in the same property, the number of buy to let mortgage lenders that will consider the case is considerably lower. Once again, an independent mortgage broker is your best source of finding the best buy to let mortgage rate. If you are seeking the best buy to let mortgage rate available to you, call us now. On this page we consider some of the mortgage product types available in the market, explain how they work, and how they could benefit you. In particular, we are going to review Fixed Rate Mortgages, Tracker Rate Mortgages, and Standard Variable Rates. When you take a mortgage, you are arranging a loan secured against your property. The lender will look to make a profit on that loan and their main means of doing this is by charging you interest. Interest can be charged daily, monthly, or annually, depending on the mortgage product. But the most important feature for borrowers is the rate of interest charged. In a fixed rate mortgage product, the rate of interest is fixed for a specified period of time. This is typically two, three or five years. The longer you want your rate fixed, the higher the interest rate you will be expected to pay. Fixed rates are ideal for borrowers who are on a tight budget and who cannot afford an increase in pay rate on their mortgage. As a result, fixed rates are particularly attractive to first time buyers. Most mainstream lenders will always have fixed rates in their product portfolio. The risk with a fixed rate is that you may be fixing your interest at a level well above where the market settles during the course of your loan. An example of this, would be where borrowers took Fixed Rates in early two thousand and eight only to see base rates drop to their lowest ever level a few months later. Some of those borrowers may feel they have been disadvantaged. Tracker rate products are arrangements where the interest rate charged, tracks an underlying rate such as the Bank of England base rate, the lenders base rate, or less commonly, the London Interbank or ‘Lie’ ‘bor’ rate. For example, a tracker rate may be set at two per cent above the Bank of England base rate. Therefore, if the Bank of England base rate is at one per cent, the interest rate charged will be two per cent above this at three per cent total. If the Bank of England base rate increases by a quarter of one per cent, the interest you pay increases by a quarter of one per cent. Similarly, if the Bank of England base rate drops, the interest rate you are charged will drop in line with the base rate. Tracker Rates can be advantageous, offering low initial pay rates. The risk is that if base rates rise, your pay rate will rise with them, and as a result, your mortgage could become more expensive than planned. You may occasionally see products on the market which have a capped element. Although these products track base rates, they are guaranteed not to go above a pay rate cap. A product which has become available in recent years is the switch to fix product where the lender offers a tracker rate with the option to switch to a fixed rate at any time without penalty. This can give you the advantage of a competitive pay rate today with the protection of being able to fix your rate later. Standard Variable Mortgage Rates. When the term of your Fixed or Tracker Rate ends, you will then revert to the lender’s standard variable rate. This is the rate that the majority of borrowers find themselves on. Although lenders will always offer new, competitive rates for borrowers to move onto, apathy in the market means that the vast majority will tend to stay on their lenders standard variable rate. This can be expensive, because the standard variable rate is rarely as competitive as other rates offered. We would always recommend that a borrower on a standard variable rate checks out their alternative options across the whole of the market to ensure that they are on the best possible mortgage rate. In summary, fixed rates offer security and a guaranteed monthly payment, and tracker rates tend to be the most competitive and may offer savings. The best mortgage rate for you is a matter best discussed with your independent mortgage broker. Whichever mortgage rate appeals, our team are waiting to assist you – contact us now.